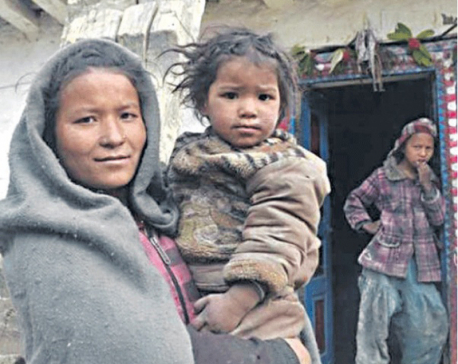 Sindhuli, Feb 10: A local teenager girls’ club at Belghari VDC in Sindhuli district has fought tooth and nails to foil a child marriage that was about to be performed in their locality. A 12-year-old girl of Chisapani, Belghari-2 in the district was in the marriage ceremony as a bride to 22-year-old groom, Kanak Karki of Ranichuri-2 in the same district. The sixth grader bride, as locals claimed, was about to tie the nuptial knot forcefully arranged by her relatives from maternal uncle’s home (mawali) while the groom and marriage suite had reached the bride-to-be for the ceremony. Much to the surprise of the people, the members of the teenager girls’ club and civil awareness centre hit the sight soon and did whatever it took to call off the marriage. Club’s member Sabita Baral shared that the marriage suite were chased away along with the groom-to-be and the marriage was eventually called off. The club members counseled the bride-to-be’s family members of the negative impact of the child marriage on the minors. They also informed them about the legal provisions against such ill-practices.